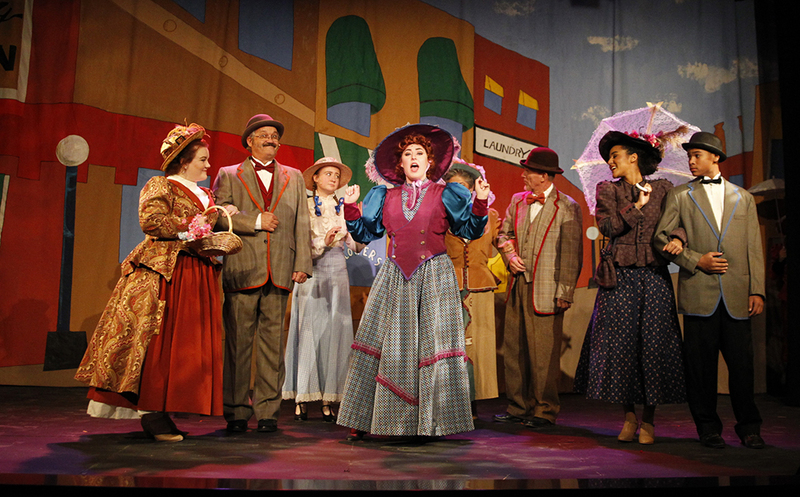 Grace Arts Live opens its spring season this weekend with award-winning musical “Hello, Dolly!” The show runs for three weekends, bringing dance, romance and humor to the downtown stage. The 26-person cast includes actress Kelly Nichols in the title role as Dolly. 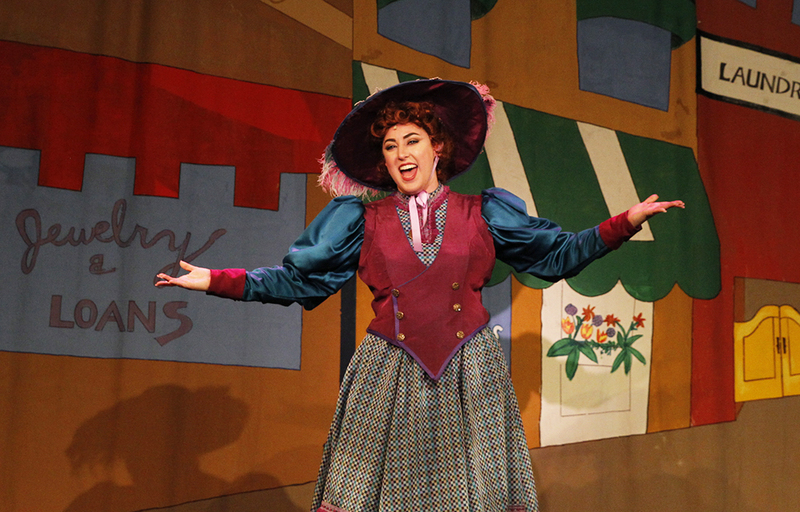 Nichols said she has been with Grace Arts Live for three years, but as she prepares to move to California, “Hello, Dolly!” will be her last show with the group. “This is by far the most fun I’ve ever had doing a show,” Nichols said. Dolly Levi is a widow-turned-matchmaker and all-around solver of problems. But the tables turn when she decides to pursue one of her cantankerous clients, Horace Vandergelder, played by Jason Fallis. What follows is a series of schemes that gets the whole town talking. Nichols said she prepared for the role of the fast-talking Dolly by enduring some marathon script-reading sessions – “this is also the most wordy show I’ve ever been in” – and of course by watching a lot of Barbara Streisand, who played Dolly in the 1969 film adaptation of the Broadway show. “Hello, Dolly!” will be performed Feb. 9-11, 16-18 and 23-25. 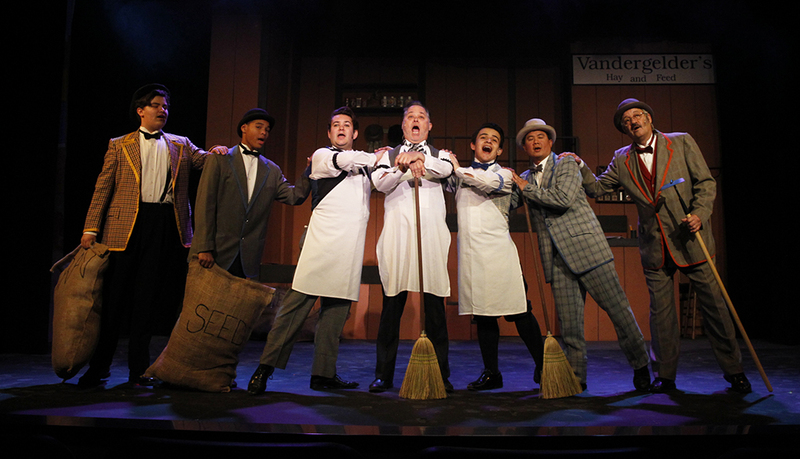 Friday and Saturday performances are at 7:30 p.m. with Sunday matinees beginning at 2 p.m. Tickets are $25 for adults and $12 for youth ages 17 and younger. Grace Arts Live Theatre is located at 2146 McCulloch Blvd., Lake Havasu City. Season ticket packages are still available. For more information or to purchase tickets, stop by the box office, call 928-505-2787 or visit http://graceartslive.com.